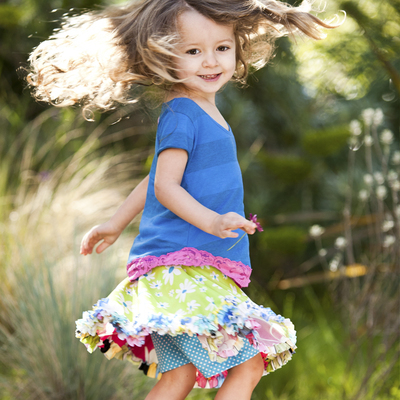 Little ones love wearing soft and colorful clothes, they aren't afraid of vibrant prints. With that first twirly skirt or dress, 2T toddlers are very discerning. We offer many styles to choose from. We want to appeal to a wide variety of personalities. Styles that are fun and inspire her to use her imagination. This is the age where they learn by creating. No zippers or scratchy fabrics, no small buttons or drawstrings, nothing to make it hard for them to dress themselves. And the good news is that she won't want to take it off.